This month we are going to highlight one of the awesome new features in MAPADOC for Sage 100 ERP that are designed to save you time and minimize your chance for error. All of our new features are available in Sage 100 ERP 2013, 2014, and 2015. 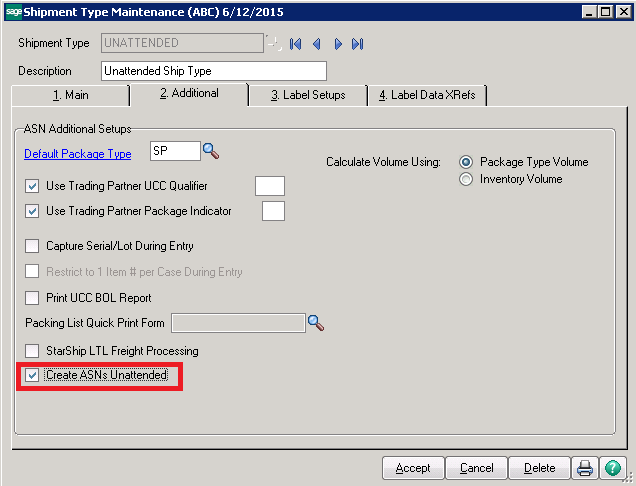 Are you ready to get started using the unattended ASN functionality? Well, let’s get started. 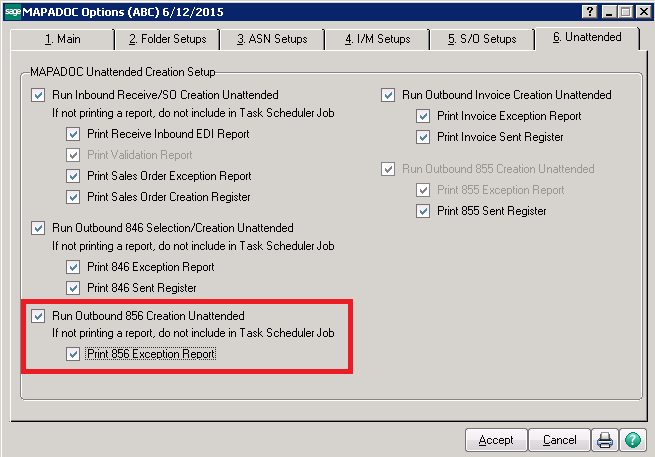 Note: When you turn on the Run Outbound 856 Creation Unattended, the options to Skip Creation of Outbound Documents if Errors, Skip Creation for Cross References Not Found, and Skip Creation for Blank Fields on the Main tab are turned on and cannot be turned off. This is to ensure inaccurate ASNs are not sent. 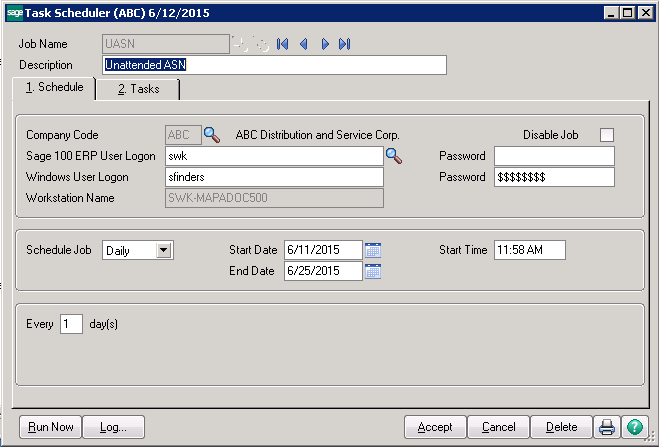 …THEN SELECT THE ADDITIONAL TAB AND CHECK THE BOX “CREATE ASNS UNATTENDED”. 3. 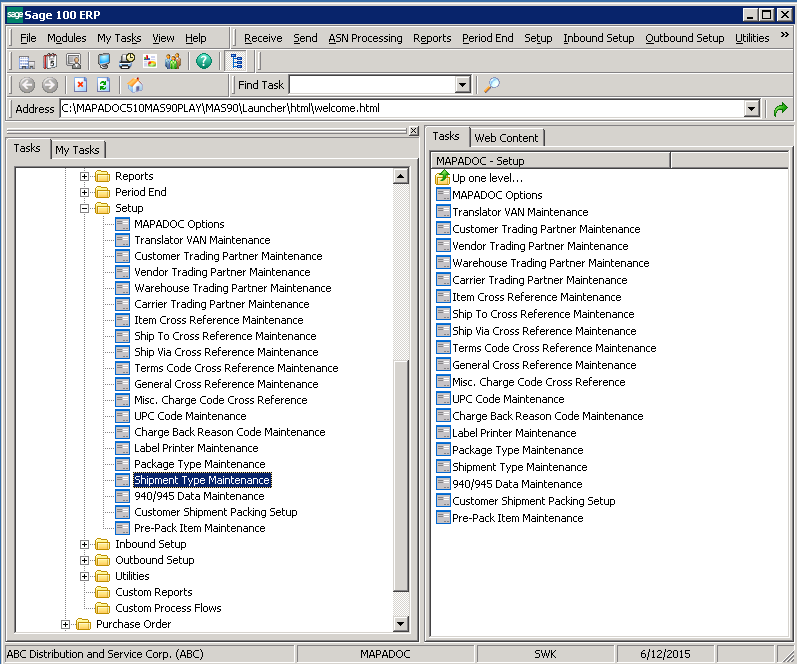 THE LAST STEP IS TO SET UP THE JOBS IN THE SAGE 100 ERP TASK SCHEDULER. 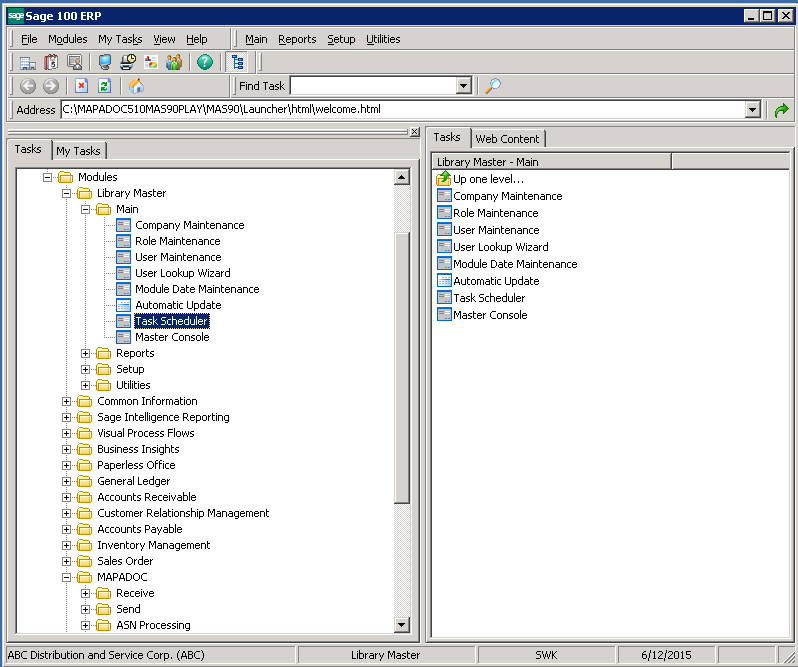 You must be on the Sage 100 ERP server when setting up the Task Scheduler. This helps to ensure the logins used work on the server where the jobs are run. Also, test the printers on the server to be sure the print jobs are directed to the appropriate printer. SET UP A NEW JOB WITH A DESCRIPTION THAT DESCRIBES THE PURPOSE OF THE TASK. I called mine Unattended ASN so I can see at a glance the purpose of the job. The Schedule tab collects information about your Sage 100 ERP program as well as your Windows login information which is required for the Task Scheduler to have access to Sage 100 ERP to run the jobs. This tab also collects information about your job such as how often do you want to run the job, are there start and end date parameters and what time during the day or night you want to run the job. Note: If either of your passwords are changed, the job must be updated with the new passwords to continue running. 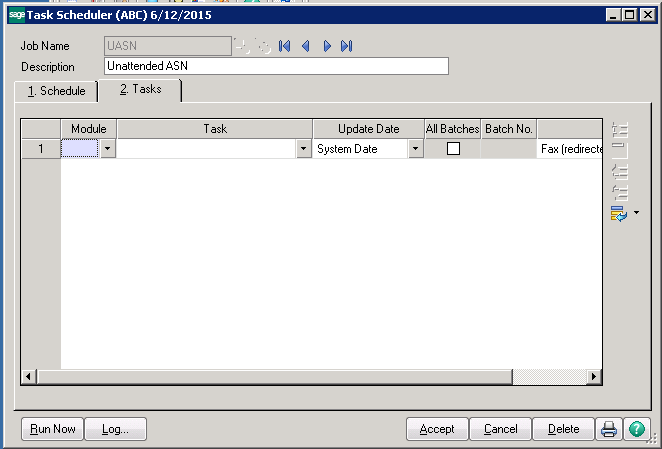 The Tasks tab is where you will add the various tasks required to create ASN’s unattended and is empty to start. 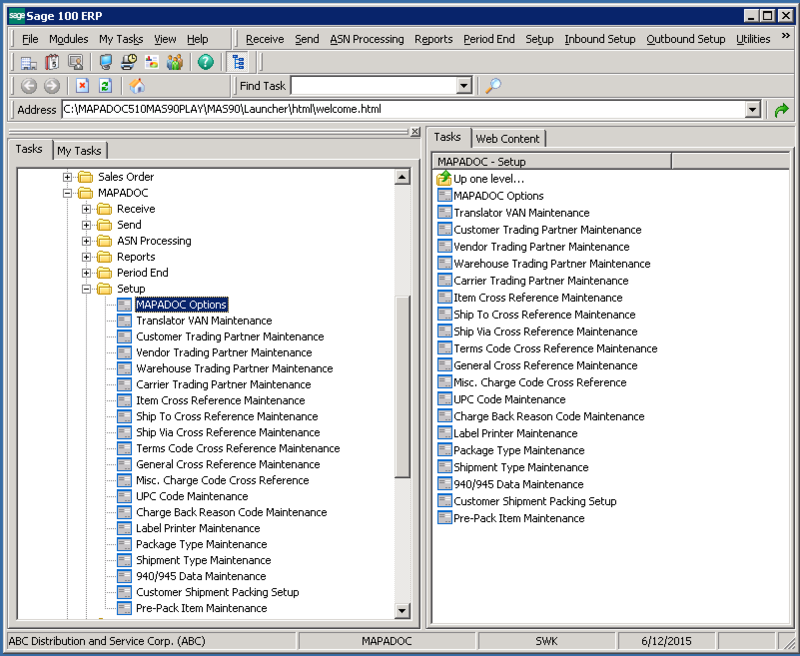 As you add the tasks, note that the MAPADOC module is represented by E/C. 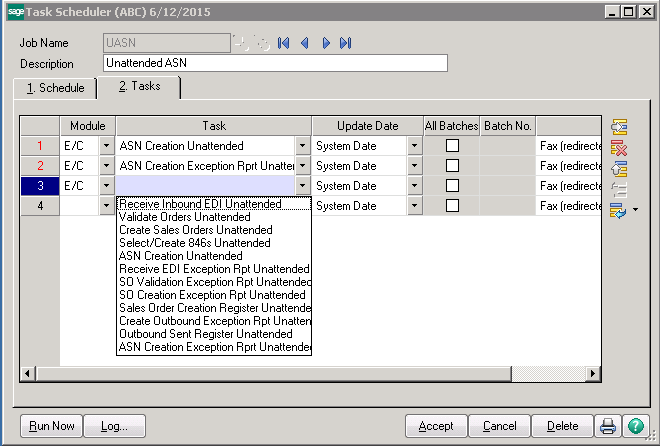 You will want to add the ASN Creation Unattended and the ASN Creation Exception Rprt Unattended in that order as you want the tasks to run in that order. (While you are in there, note all the other tasks that can be run in Unattended mode to save you even more time!). 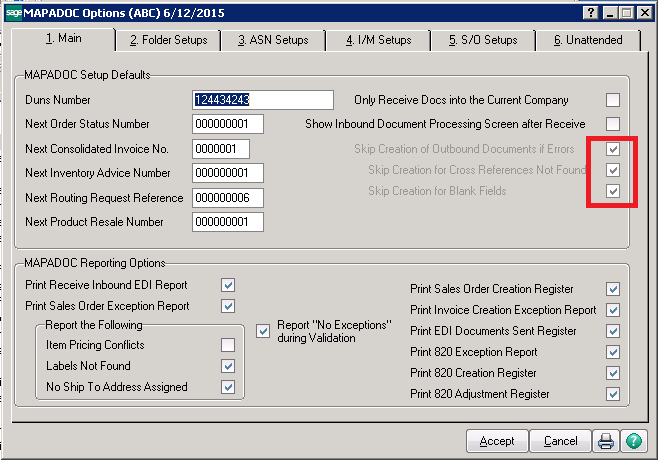 Finally, if you like, the ASN Creation Exception Report Unattended can be set up in Paperless Office instead of directing to a printer. If you need our help, please contact our team any time! Watch our newsletter for more time-saving tips!